What advice do you have for businesses looking to expand their wholesale business? Be sure that you have your paperwork together. This includes line sheets, insurance, etc. Make sure that you have the manpower and the financial means to fulfill large orders as most large wholesalers will have a net 30 or more. Lastly, have the mindset to push through unforeseen circumstances. Things happen and you must be prepared to respond effectively. I have so many favorite Bramble Berry products, so it’s hard to just name one but I will try. 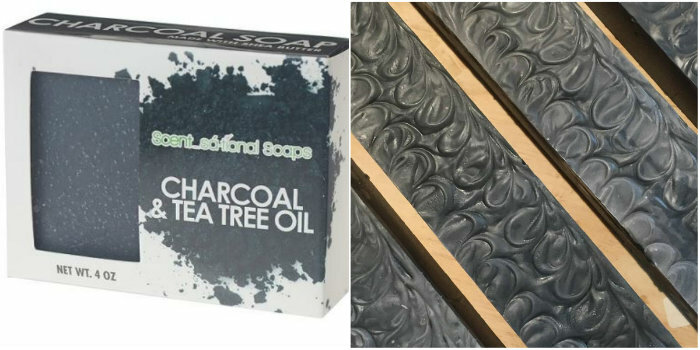 Activated charcoal is one of my favorites as we currently use it in our Charcoal & Tea Tree Soap. I love the rich color that it brings my soap as well as its soaping qualities. Charcoal & Tea Tree Soap, made with activated charcoal. I don’t know if I would call this unique or unusual, but I love to love on others and help. I wish there was no pain in the world and everyone was happy. Giving comes as second nature to me. Whether it’s a helping hand, a listening ear, word of encouragement, etc. I love giving back. 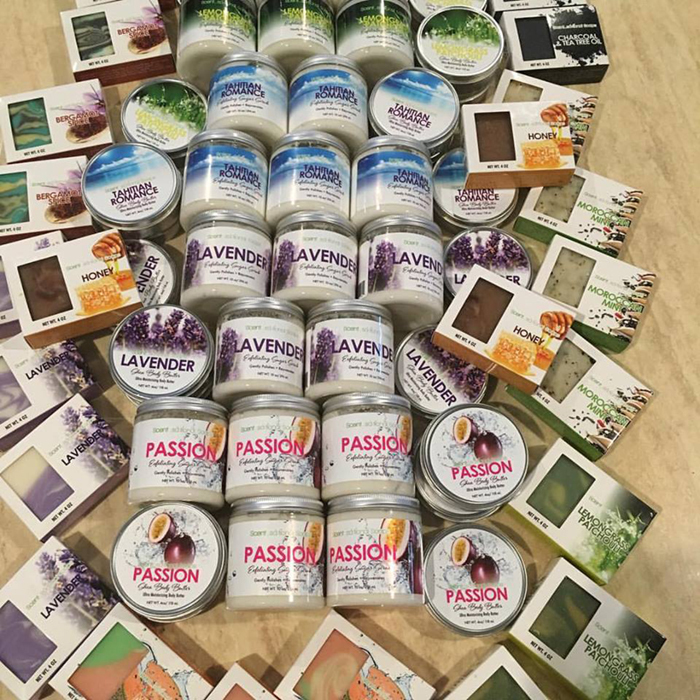 A collection of Scentsational Soap to be donated to a local charity. I absolutely enjoy cooking and shopping! 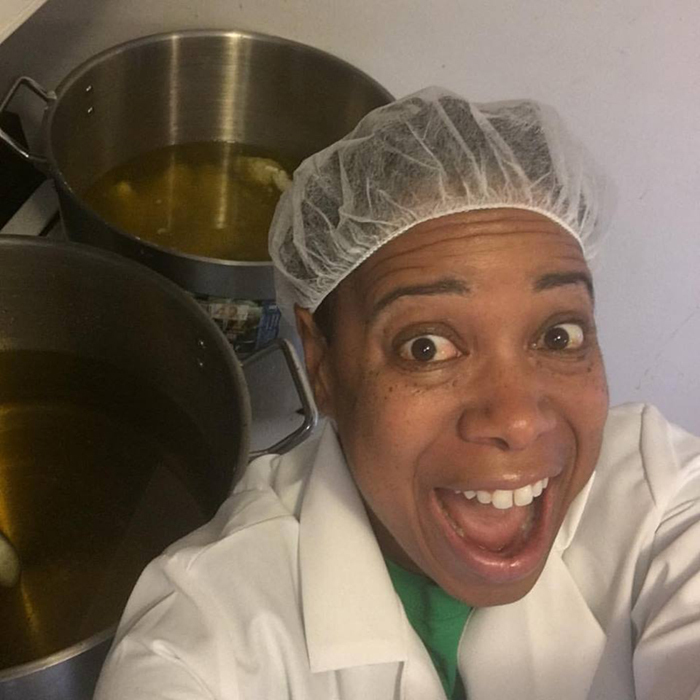 During my downtime, you can find me whipping up a new recipe or at the mall shopping for shoes or a cute outfit. It’s one of my favorite past times. My number one soaping tip would be to masterbatch. This has saved my life as it has made soapmaking so much easier and faster. 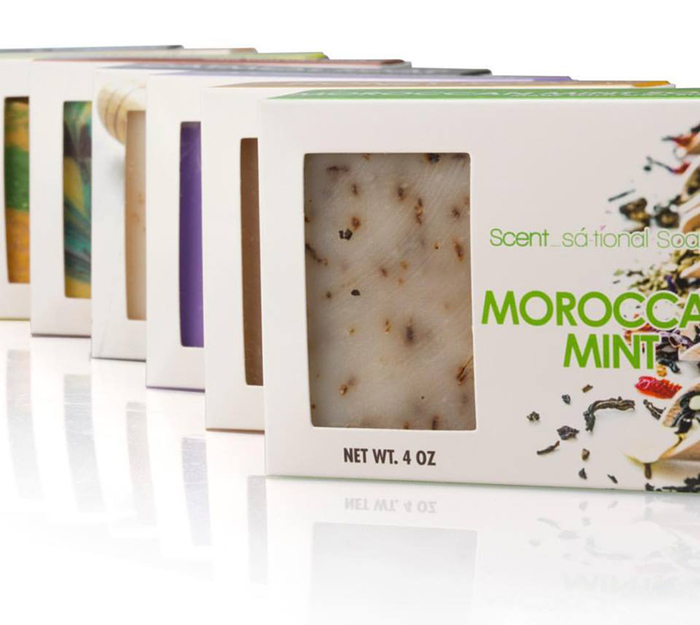 A collection of Scentsational Soap products including soap, body butter, and scrubs. 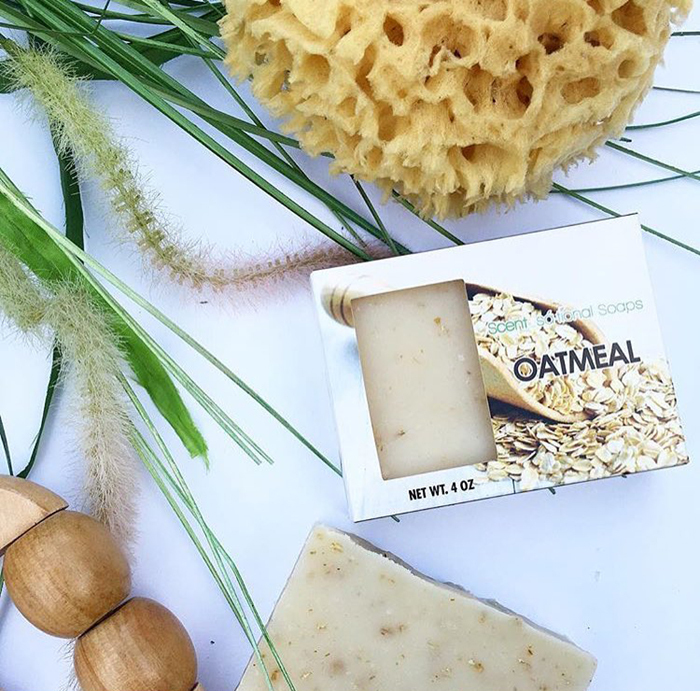 We had our first soapy fail when we made our first wholesale order, about seven years ago. We didn’t let the lye cool down and when we mixed it with the oils, it caused a volcano. We also had some soap accelerate on us due to the fragrance oils. 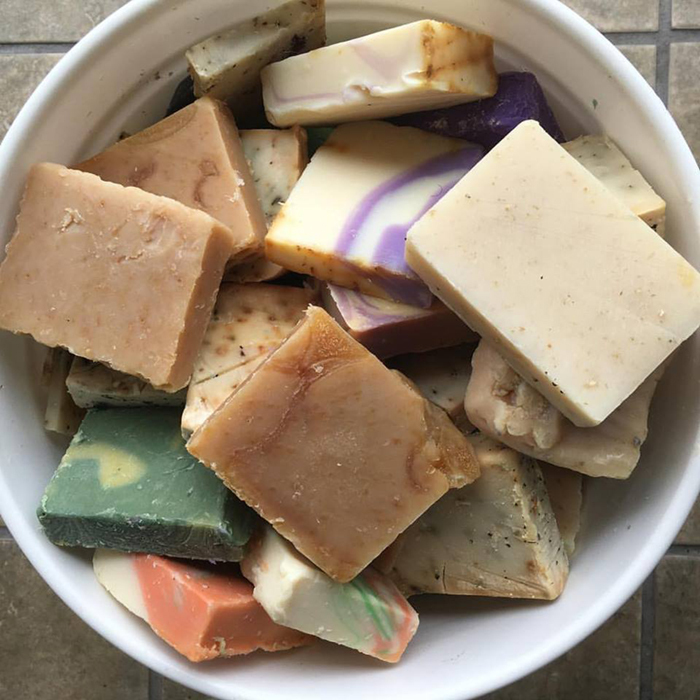 We’ve had a few soap fails since being in business that all have taught us very good lessons. Do not pour too hot, choose the right fragrance oil so it doesn’t accelerate, and so much more! 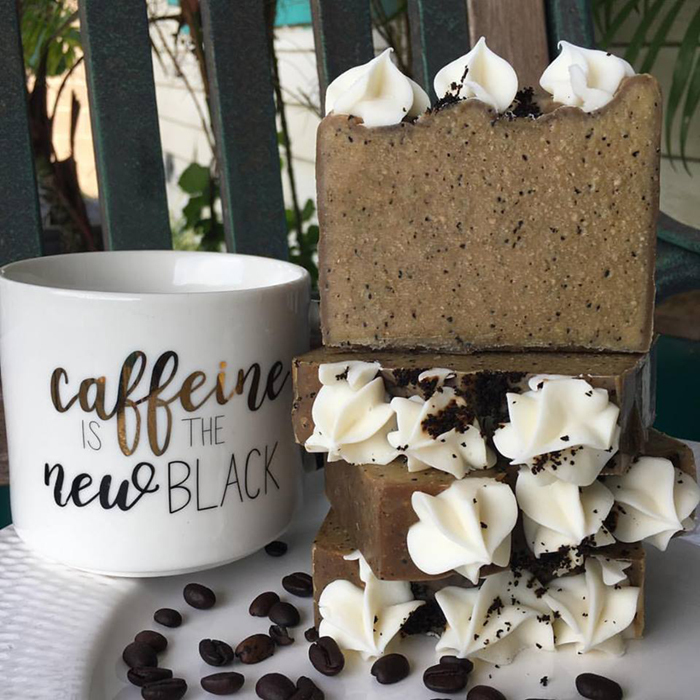 Coffee and Cream Soap, made with coffee grounds. 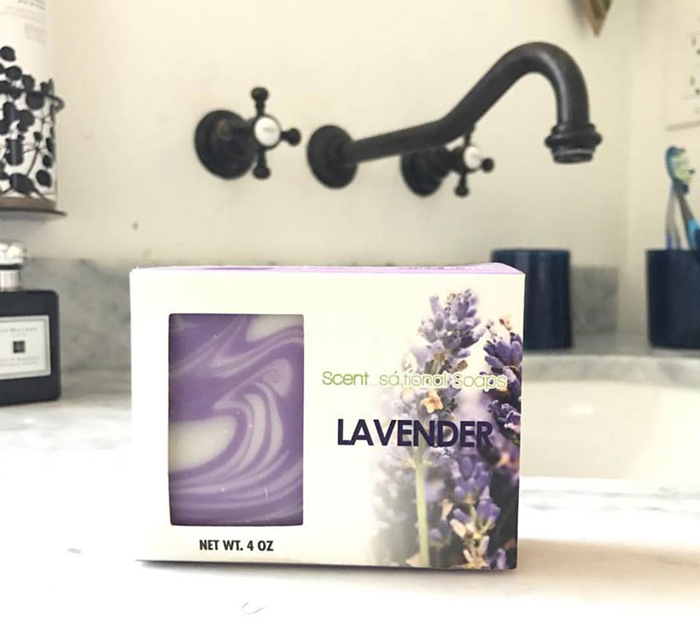 I love being able to choose different colors, scents and packaging, as well as the therapeutic qualities that come with creating each product. But most importantly, I love giving the finished product to the end-user and receiving their reviews. Wow, I’m very new to soaping. I have really been inspired by your success Toushonta! I’m even more excited to continue my soaping venture. Congratulations and I wish you continues success. Your story is so inspirational and has inspired me to keep going with my dreams! Many blessings to you and your family! 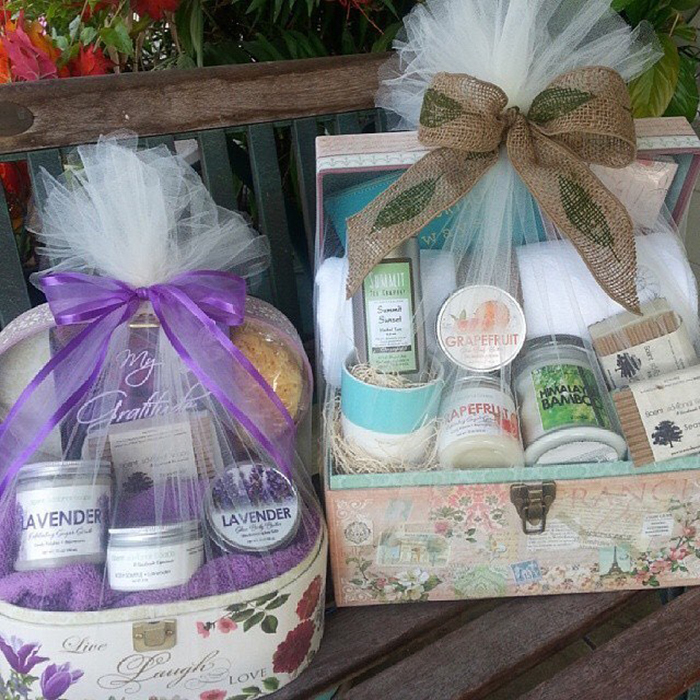 I L-O-V-E her packaging….so professional! 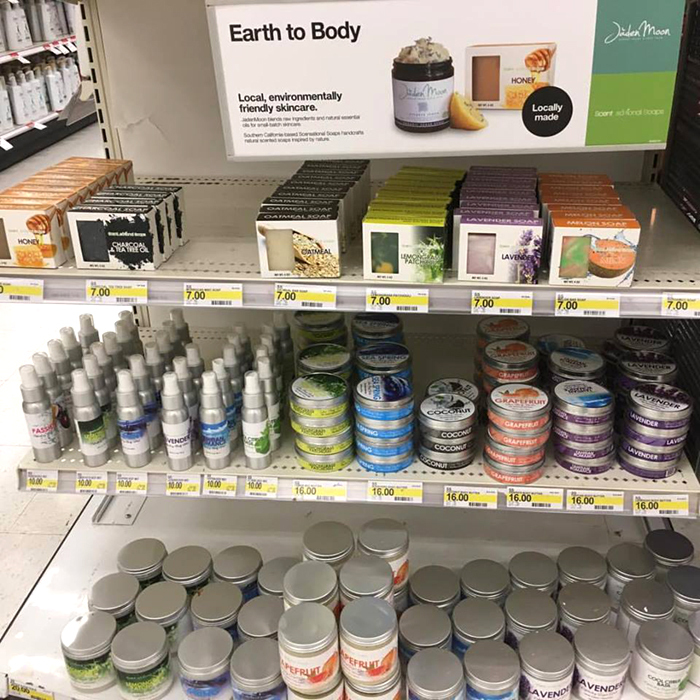 How did you get hooked up with Target? Is that program across the country or just in California? Much happiness on your success! Thank you so much! I’m not sure if it’s across the country but it’s worth asking. Thank you so much! Congratulations! Way to go! I hope to get there someday! You will Staci, keep plugging and don’t ever give up on your dream! Congratulations, Toushonta! Excited to see your success! Thank you so much Nichole for everything! This interview left me wanting more! Great job! Yay! Go Shon. Awesome interview.